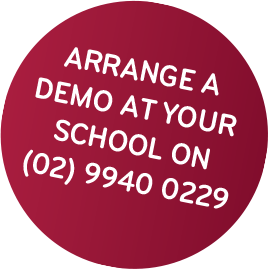 You can now take complete control of your personnel, uniform and equipment issues, attendance records and lots more! Optimo Cadets is an online management system that you can access at school or when you are in the field. This is your portable, easy to use, all in one system that you can take anywhere with internet access! Cadet Corps can number up to 800 plus and controlling the issue and return of equipment and uniforms can be a nightmare. Tracking the attendance at parades, promotion courses, transport to camps, and other events, even accommodation, and a myriad of other activities can stretch the current administration systems beyond their limits. Manage all the activities such as promotion courses, AFX Camps and bus lists etc. Can I see a demo of Optimo Cadets? Sure! 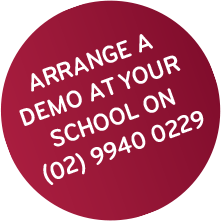 Give us a call on +61 2 9940 0229 or fill in the form at the top of this page, so we can arrange a demo for your school or to chat with you, your colleagues and other key personnel. We will then discuss your situation and the outcomes you want to achieve and if suited, determine how best to implement Optimo Cadets. Why should I use Optimo Cadets? Optimo Cadets is an intuitive system that is easy to navigate. It comes with preloaded information with standardised menus. And it has been designed to handle all things Army. Optimo Cadets is provided as a TURN KEY solution. This means that Optimo will take care of entering all of your data and you will have complete inventory of all the items you manage. This means the day we hand the system over to you, it is ready to go. We use a secure connection to the database which is fully encrypted. Everyone with access to the program requires a username and password. Who backs up my program? Optimo regularly backs up your program and also makes a separate backup copy to another server. We ensure that we take care of your information using the most secure services available. Can it connect with our school admin system? Optimo Cadets can share common information from your school admin system. This ensures that you always have the correct information for student contacts. Because the program is cloud based, you can use a MAC or PC computer, tablet or any device that has internet connectivity. We support the browsers Google Chrome, IE and Safari. What happen if my computer crashes? Do I have to install anything? No. Just find another computer and log on to access all of your information.